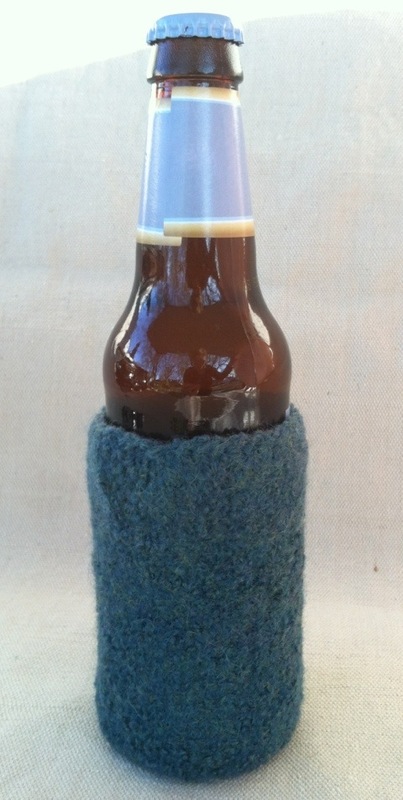 Time for some very mindless knitting — a beer cozy! Of course they also work for soda cans or water bottles but I use mine for beer! I started making these years ago and they make great little gifts. 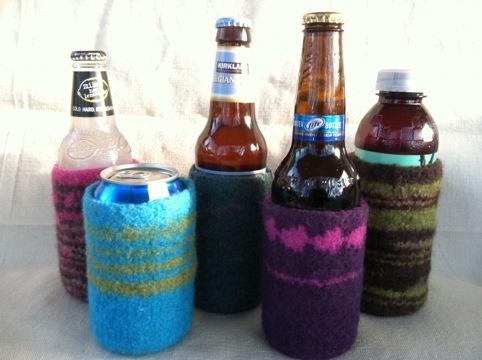 Because they are felted wool they really keep your drink cold in the summer and your hand warm on those cooler evenings. This project is so mindless that you can even enjoy an adult beverage while you are knitting! Felting is great because it can hide a lot of errors. 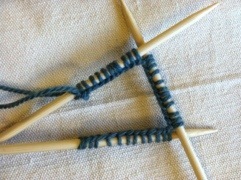 This is also a great first project if you want to learn how to use double pointed needles. 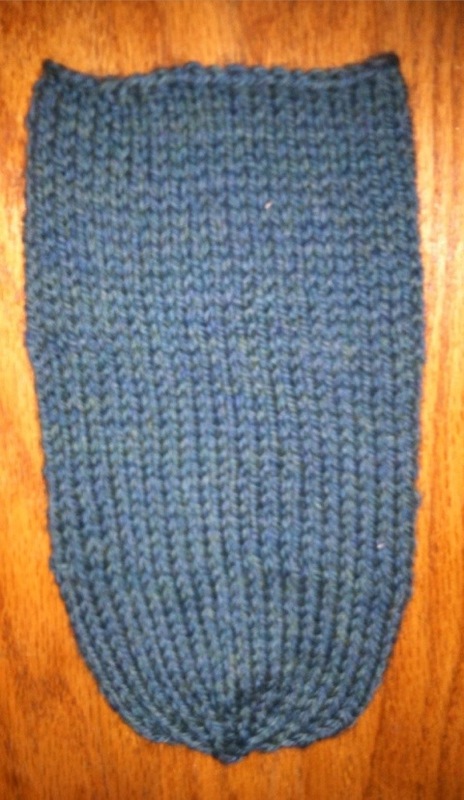 Before I got the courage to knit my first pair of socks I made a bunch of cozies and became very comfortable with knitting in the round with double pointed needles. Wool yarn that is not super wash – you want it to shrink. Cascade 220 is a good yarn and it has a good color selection. Lion Brand makes a couple of wools that felt well. Patons classic wool is one of my favorite yarns for felting mostly because I like the texture of it after it is felted and oh yeah it’s usually the least expensive so that is what I used here. Cast on 37 stitches using the long tail cast on method. 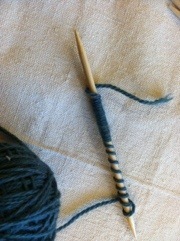 Hint: I was never sure how long of a tail to use until I found this trick – wrap the yarn around your needle the number of stitches you will be casting on. So if you need 37 stitches wrap 37 times then add a couple inches and that is your tail length. I cast all the stitches onto my first needle then divide them onto 3 needles being very careful not to twist the stitches. 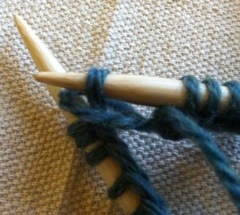 Hint: Another trick I learned for knitting in the round – cast on one extra stitch then when you begin, slide that extra stitch from your left needle to your right needle. Now lift the second stitch (this will be the last stitch that you cast on) on your right needle over the first and off the needle. You now have a smooth join and are ready to begin knitting. 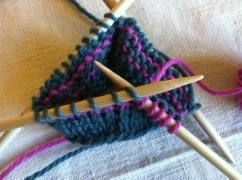 You should now have 36 stitches on your needles and no twists. 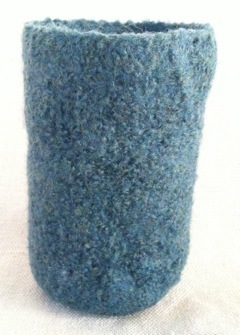 Knit until the piece measures 8 inches tall. Sometimes I add stripes or other designs, it is a good way to use up scrap wool or practice knitting with multiple colors. 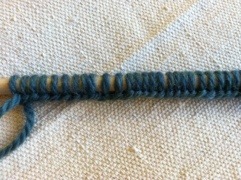 Knit 2 stitches together all the way around. Knit one round. 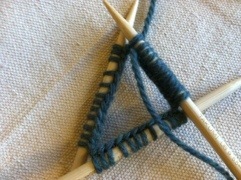 Knit 2 stitches together all the way around. 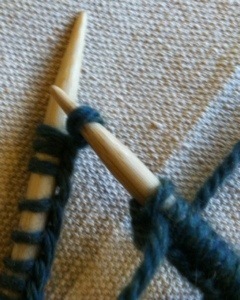 Knit 2 together around until 5 stitches remain break yarn and thread through remaining stitches and secure. Weave in your ends but don’t spend much time because it all gets felted in. Confession time I was a little too mindless and dropped a stitch but no problem, I stitched the hole closed and after it is felted you won’t be able to find it! Felting time! 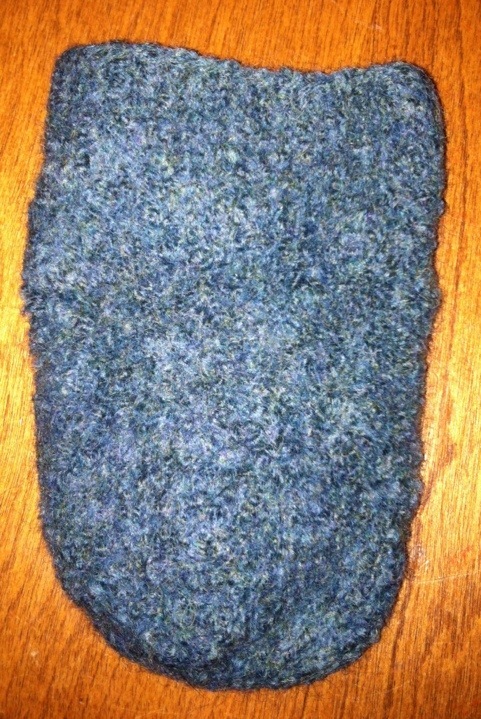 If you have never felted before prepare to become addicted! Throw your completed cozy in with a load of laundry that uses hot water then, pull the cozy out before you throw the load into the dryer. I have a front loader washer so I have to put mine through 2 loads of laundry before it felts. I consider it felted when you can no longer see the actual stitches. Pull it over a can or bottle to dry overnight. You may need to stretch and tug a bit to get it to fit. The most important and final step is to grab a cold bottle or can of your favorite beverage and test your cozy. You may want to knit a few more so you can invite a friend or two to help you test them.